Mr. Charles advises clients on a wide range of energy issues, and is particularly passionate about helping clients understand and engage with changing market and regulatory environments. In recent years, he has analyzed utility cost of service, revenue allocation, and rate design issues in several U.S. states, and has served as an expert witness in a number of regulatory proceedings. Mr. Charles has also analyzed issues related to distributed generation resource economics and greenhouse gas impacts, developed energy price forecasts, and analyzed resource planning issues. He has authored articles on the evolution of California cap-and-trade policies and prices. 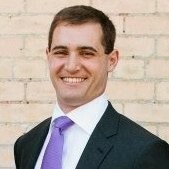 Recent projects include evaluating utility marginal cost and revenue allocation proposals, analyzing the impact of changing time-of-use periods for retail electric prices on distributed generation and storage, assessing utility resource plan proposals, and evaluating utility cost forecasts and program budgets.